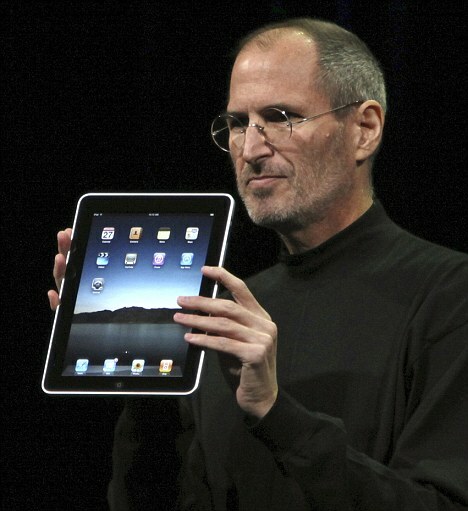 The iPad is what Steve Jobs claims as his most important project ever. Love it or hate it, it is going to change the way people think about tablet computing, third screens, and larger touch screen displays. The device has galvanized the world of technology with people massing in camps both for and against the device. The most often voiced complaints (as you know) are the lack of ability to run multiple apps at a time, the lack of Flash inclusion, and no forward facing camera. On the other hand the device is being praised for wonderful design, a delightful touchscreen, and innovative pay as you go 3G access. The device has somehow managed to surpass its pre-release buzz with post-release arguing around the blogosphere and water cooler. Will you buy one? If so why, or if not why not? We have all been asked this a dozen times at least. Given that the device has yet to actually become available for sale (the name is in contention with another company claiming the right to the trademark), few people are looking into the future of the device. It would be wise to do so; this is an Apple product, so we need to make special considerations. Apple builds wonderful hardware, but often they wait to make it truly special until the second generation. We all have an Apple upgrade story. Mine? Buying a damn expensive iPod Photo a week before the iPod Video came out. What does this mean? If you have more than two beefs with the iPad the best thing to do is to wait for the second generation. The device will have a lower price tag next year and more features. Given the verifiably raucous whining surrounding the device (something that I have partaking in), Apple is sure to add in most of what we are demanding. If you recall, when the iPhone first came out, there was no App store. Hell, there wasn’t even a SDK to work with. However, we all threw screaming tantrums, and sure enough it came out. For an even better example look to the exclusion of 3G from the iPhone. Half the tech world scrambled to buy first generation iPhones that had only EDGE connectivity. Wait one year, the device was upgraded with 3G connectivity for the same price (more or less). Moral? Wait. Apple will most likely give you what you want in the next product cycle, so don’t force yourself to buy two devices. Given Apple’s history in the area, it almost (just almost) feels like the released 20% defeatured products for their most die-hard fans to buy, thus allowing them to release a full feature product the next year, claim it to be revolutionary, and get everyone to upgrade. Brilliant? Yes. Good for your wallet? Hardly. What does all this mean? I would suggest waiting for the next generation. It will only mean that you get a better gadget. You lived without it for your whole life, you can surely wait one more year.